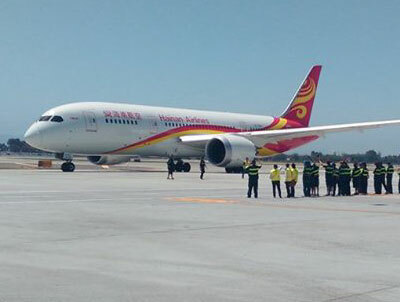 History was made on June 15th 2015 when Hainan Airlines launched its first flight between Beijing Capital International Airport (PEK) and Mineta San José International Airport (SJC), marking the first-ever nonstop service between the People’s Republic of China and Silicon Valley. Hainan offers five flights per week on the route – Monday, Wednesday, Friday, Saturday and Sunday – on modern Boeing 787 Dreamliner aircraft. The 213-seat, two-cabin class Dreamliner will offer 36 seats in Business and 177 seats in Economy. 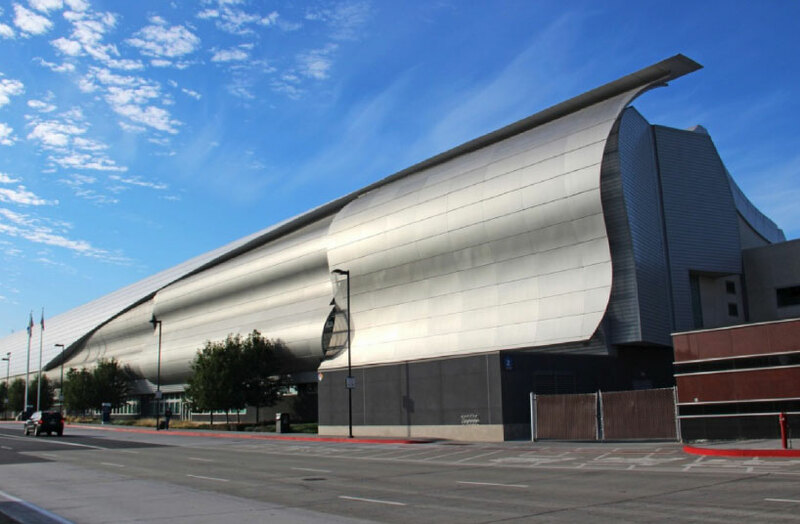 AviaSolutions has been working in close partnership with Mineta San José International Airport since October 2014 on a three-year agreement with California’s third largest airport to develop new international routes to the southern Bay Area region. The Hainan Airlines route was announced on 17 February 2015, within just 100 days of the relationship commencing. A great example of the value and expertise AviaSolutions can bring to airports seeking to grow. As part of route deliberations, AviaSolutions and the SJC airport team met Hainan in Beijing to present a detailed business case convincing Hainan officials to travel to Silicon Valley to meet with senior San José Government and airport officials as well as Silicon Valley business leaders. The Hainan team toured SJC and the region and received briefings about the strong passenger demand between SJC and PEK. Before the first flight departed on Monday, the inaugural ceremony remarks included those of Hainan Airlines Vice Chairman Mu Weigang, City of San José Mayor Sam Liccardo, Consul General of China in San Francisco Luo Linquan, San José Silicon Valley Chamber of Commerce President and CEO Matthew Mahood, and City of San José Director of Aviation Kim Becker. 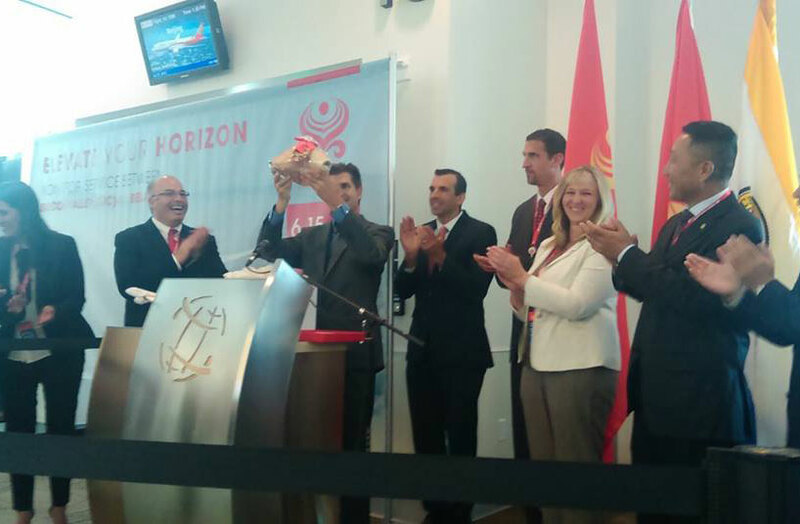 Overseeing the event was Silicon Valley Leadership Group President and CEO Carl Guardino who broke an oversized fortune cookie and read a message to officially commemorate the launch of the new Beijing-Silicon Valley flight and to welcome Hainan to San José. 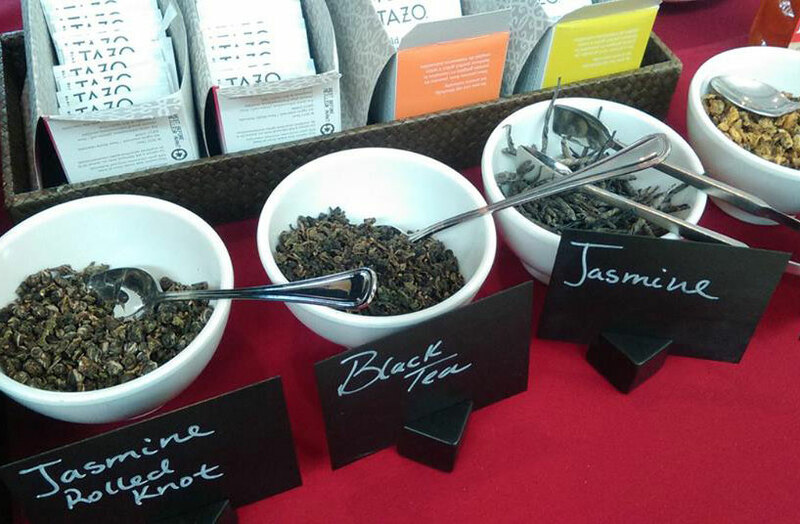 This service marks Hainan’s entry into the Bay Area market through the convenient SJC gateway. 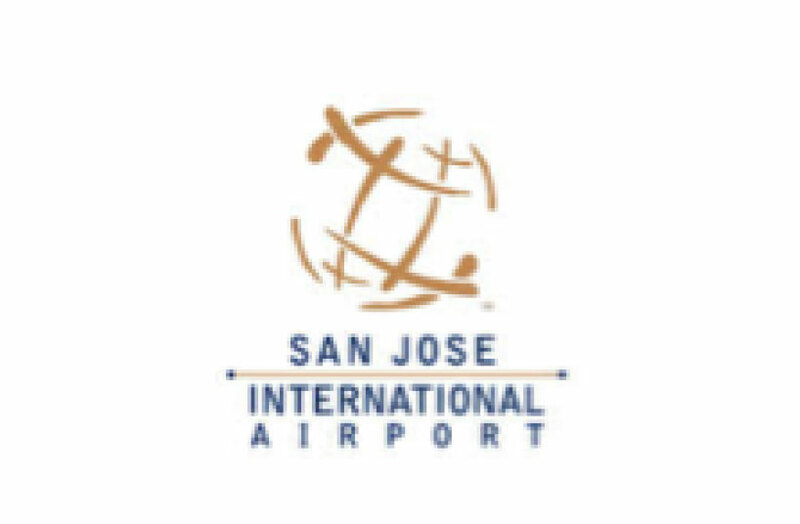 According to City studies and airline information, the flight’s economic impact for the San José region is estimated at $105 million annually and adds 52 San José-based jobs. Connections to and from points throughout China are also possible via Hainan’s extensive domestic and international network. Cargo service is also available. San José is the fourth U.S. city for Hainan. The carrier is the largest privately owned air transport company in China and the fourth largest airline in terms of fleet size. Hainan currently operates at three other gateways in the U.S. – Seattle, Boston and Chicago-O’Hare, and offers scheduled domestic and international service on 600 routes from Beijing, Haikou, and other operating bases on the China mainland. PEK, the main international airport serving Beijing and located 20 miles northeast of the city center, has been identified as a priority travel route for the greater San José region that has significant business and personal links to China. Silicon Valley companies have more than 550 corporate locations in China, and have a growing focus on developing more business across Asia and the China market in particular. Hainan’s nonstop flights to Beijing with connections to other Chinese cities provides greater opportunities to enhance this business and take advantage of more efficient travel options. With more than 220,000 Silicon Valley residents with Chinese heritage, China is a top destination for travelers returning to visit family and friends. The service is also expected to be popular with tourists and college students traveling between the Bay Area and China. Hainan’s service between Silicon Valley and Beijing is the first in a series of three new direct routes between the U.S. and Mainland China debuting in June, part of the airline’s large scale expansion of services in North America. Hainan is inaugurating service between Boston’s Logan International Airport and Shanghai-Pudong on June 20, and Seattle-Tacoma International Airport and Shanghai-Pudong on June 22. Together, these new routes double Hainan’s service between China and the U.S.
SJC recently completed renovations to two boarding gates, doubling the airport’s international gate capacity. Arriving international passengers receive expedited processing and reduced wait times with automated Global Entry kiosks in SJC’s International Arrivals facility. The Beijing service is the third nonstop market for SJC in 2015. Southwest Airlines launched a daily flight to Dallas (Love Field) in April, and will double this service beginning Nov. 1, 2015. Alaska Airlines will add nonstop service to Eugene, Oregon on Nov 5, 2015. 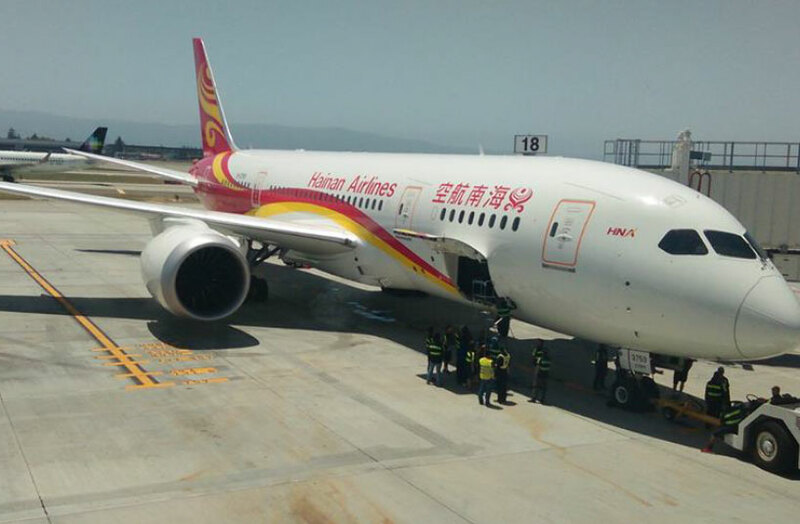 Hainan Airlines was founded in 1993 and has grown to be China’s largest independent airline, with a fleet of about 130 aircraft, including wide-body Boeing 787 Dreamliner and Airbus A330 jetliners. The airline is a subsidiary of the HNA Group, one of China’s largest conglomerates, which has interests in logistics, tourism, hotels, financial services, as well as air transportation. Hainan began service to the United States in 2008 and has progressively grown internationally, transporting hundreds of thousands of passengers to and from China and North America. The airline has a wide domestic network in China, serving more than 600 routes linking 90 cities, as well as points in Europe, Southeast Asia and the Middle East. It is a service-oriented enterprise, earning numerous awards for safety, punctuality and a high quality product. Based in Haikou on Hainan Island, the carrier has offices in Boston, Chicago, San José /Silicon Valley, Seattle and Toronto in North America. 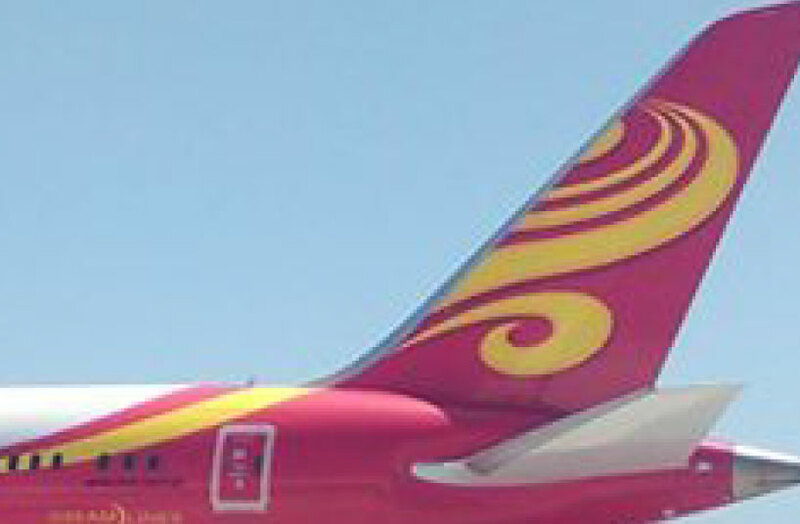 Learn more at www.hainanairlines.com.